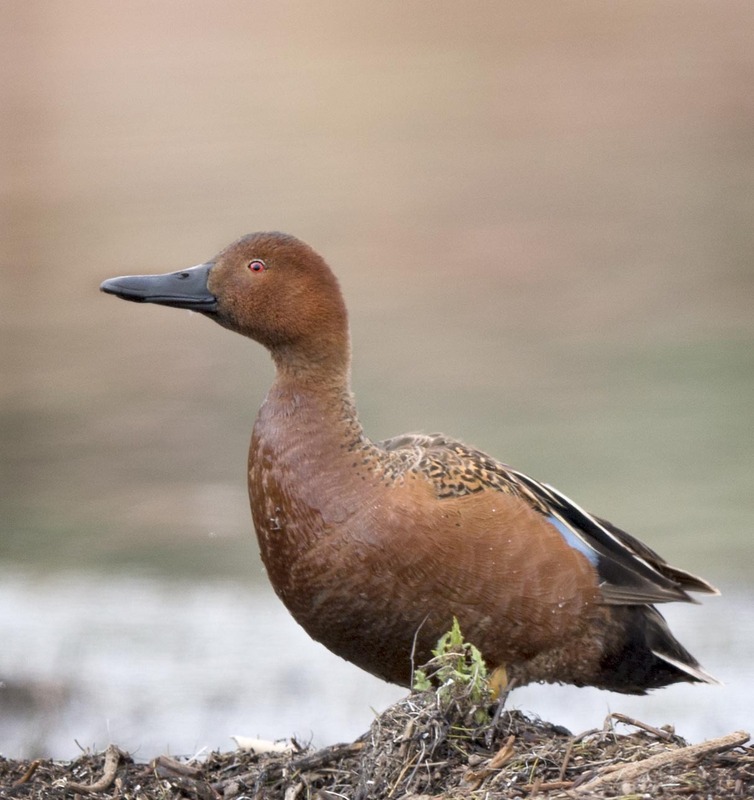 A male Cinnamon Teal strutting his stuff on the edge of the pond and looking like a million bucks. Ladies Beware. It is a fine color, something very natural about it yet flashy as well. Bold but subtle. He is a fine looking duck for sure. Hope your having a great week and thanks for the feedback as we really appreciate it. He really is strutting his stuff. It even looks like he has a smirk. Spectacular photo of one of my favorite ducks…thanks Mike. Hi Jet a smirk of confidence I bet. He knows he has it going on. He’s looking happy, and could very well be, for all I know. Nice capture. I think if I remember correctly he just chased off another male who was trying to edge into his territory so he probably was please that he chased him off… so yes happy. Great photo! He’s a nice looking fellow. Hi Camie, he sure is a nice looking guy. Hope your having a great week. Oh yes, my kind of fellow! A handsome bird, and perfect color! It is a wonderful color these males sport.